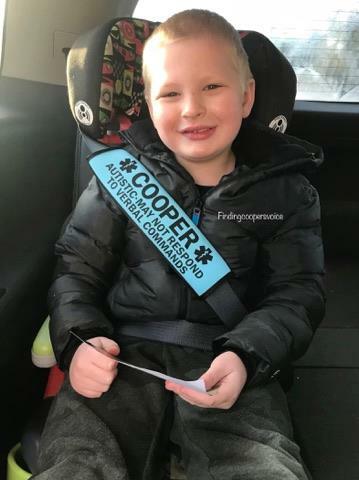 I get asked ALL the time about Cooper’s medical alert seatbelt cover. We love it so much and I won’t travel without it. In an emergency situation, these shoulder belt covers quickly convey crucial information that a child or adult may not be able to express by themselves. As many of you know, having a nonverbal child comes with unique challenges. 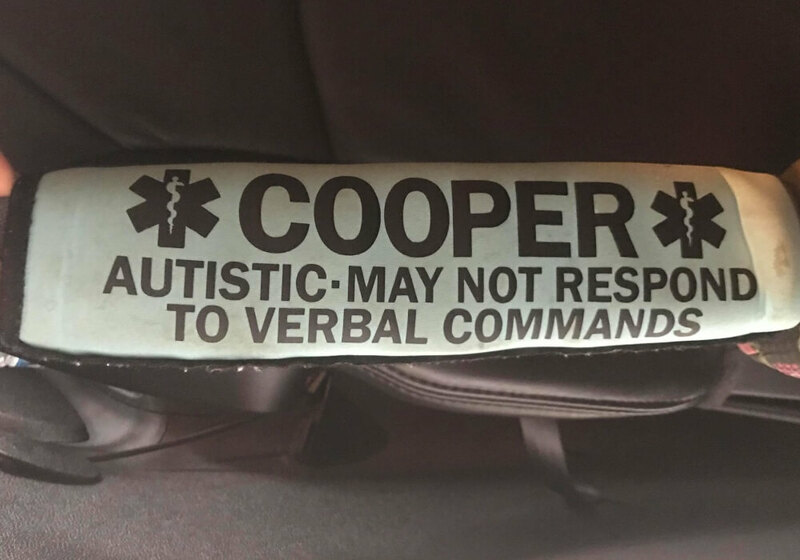 Cooper can’t communicate verbally. He doesn’t always respond to his name or acknowledge questions. He has slow processing times. And even if he is able to respond, he doesn’t always answer correctly. This seat belt cover gives me peace of mind. And it’s pretty cute too! This one was made by Carrie, a fellow mom with an autistic son. Make sure to use coupon code ‘COOPER’ to get $2.00 off of your purchase.